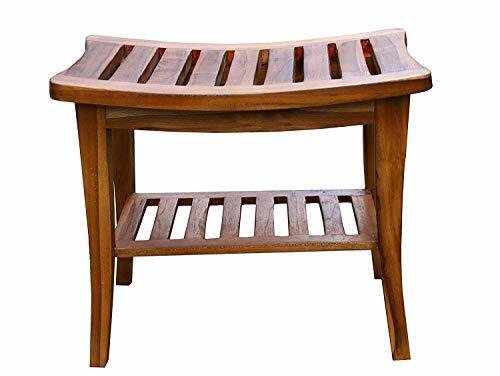 This teak shower bench fuses design with practicality. 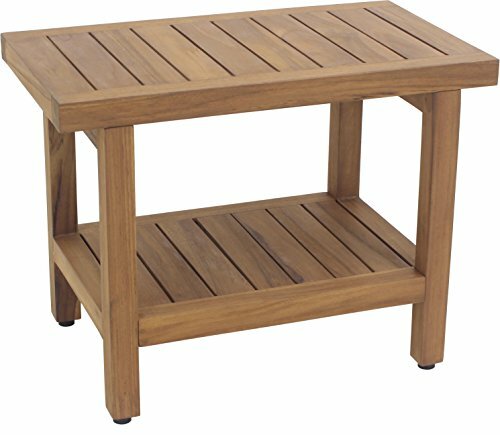 Comes complete with adjustable foot pads to allow for adjustment to mild sloping shower floors and lifting the teak off the ground. 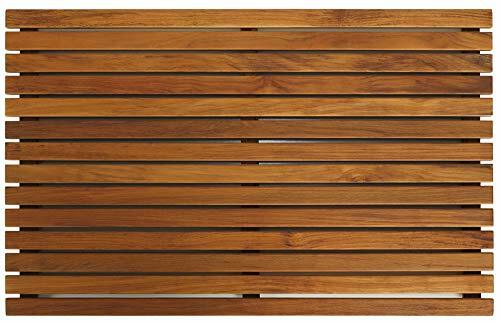 The value of this for 100% solid plantation grown teak is unsurpassed and unbeatable. The included foot leveler pads allow independent adjustment of each leg to make minor adjustments for slight slopes in shower floors. The rubber foot pads also provide an non-slip stable surface for extra stability. 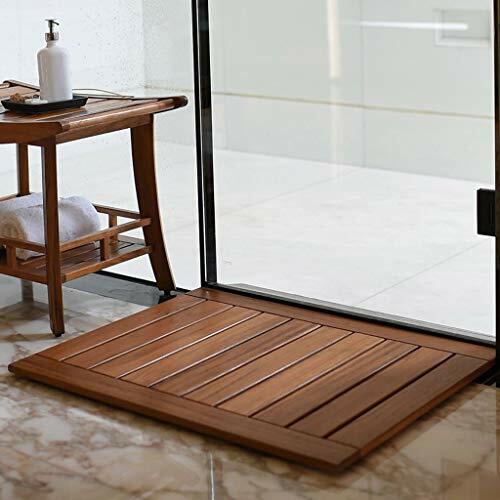 In addition the foot leveling pads raise the teak legs off the floor of the shower so that the wood does not stay in contact with water, or damp shower floor surfaces when not in use. This will help prolong the life of the teak. 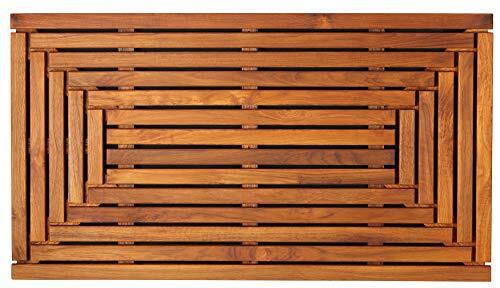 Escape from the ordinary with this borderless Zen teak mat. It will bring the feel of a tranquil spa right into your home. 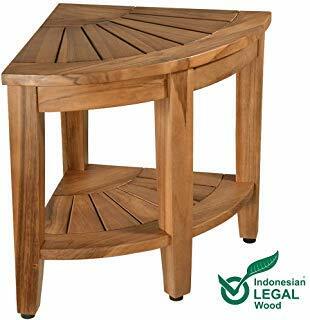 Made of responsibly harvested solid teak wood (tectona grandis), it is naturally resistant to mold and mildew. 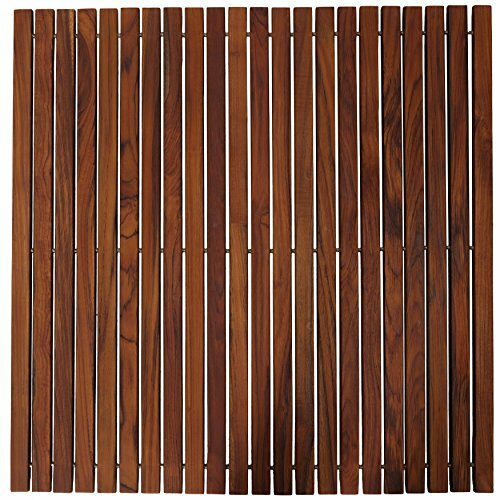 This teak mat by Bare Decor will last you a long time saving you money and the environment. This Zen teak floor mat is made of premium solid teak wood and comes in an oiled finish. Perfect for any space outside your sauna, pool, spa, shower, bathroom, deck, boat or RV and will keep your feet warm while providing a clean slip resistant surface. 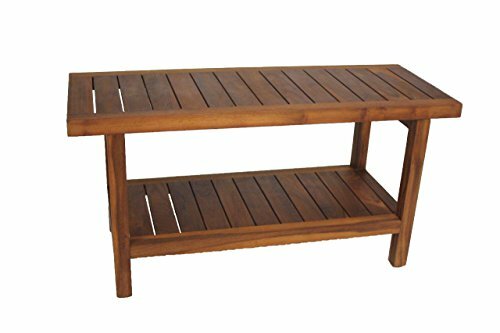 Dimensions: 31.5"W x 19.5"L x 1.5"H.
ALATEAK Indoor Outdoor Patio Garden Yard Bath Shower Spa Waterproof Stool Bench 30"
Dimensions: 36" x 14" x 18" Weight: 22 lbs Crafted from sustainable harvested, naturally water-resistant teak wood, this classic teak shower bench from our Spa Collection will make any space feel like a relaxing retreat. With an extra-long seat, this shower bench brings added seating or storage to your bathroom, walk-in shower or pool area. It also has a convenient shelf to help you keep your items organized. 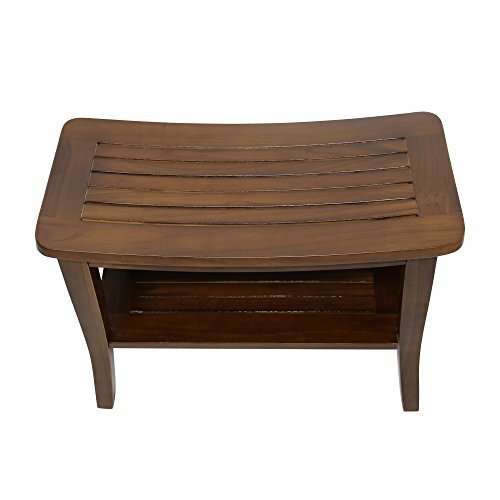 This beautiful teak shower stool is perfect for areas of your home which get a lot of moisture and with padded feet for extra stability, you can depend on this bench to stay put no matter where you keep it. 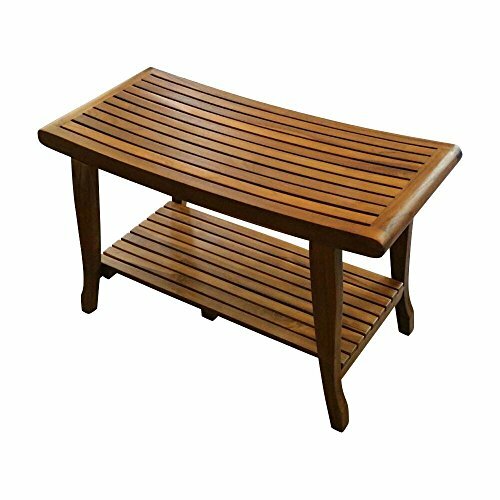 (Some assembly required) As the world leader in teak furniture, Aqua Teak's collection includes hundreds of options in teak shower benches, bath stools and accessories, always backed by our 30-day satisfaction guarantee.